Quickit is a croos-platform app being developed in Xamarin Studio. Unfortunately I had to part ways with the development team before finishing the product as I had to start my bachelors degree at school. However, I would like to show off what I had made before leaving. The essentials of the application is to ask your buddies a question and have them choose between a defined set of answers. Say I asked them “Want to grab a beer tonight?” they’d then have the option to answer yes or no. You could also ask them about something more specific like “Beer at 7 pm or 9 pm?” you’d then have the option to define your own answers to that question. The app lets you choose from all the contacts in your phonebook, however, it’d also check if your contacts are registered users in the database – using Parse for Mono. By doing so it’d either send the question to the app installed on their mobile device or send a text message with a link to a website where you can answer the question. The database back-end is provided by Parse in a noSQL cross-platform plugin, which meant that any platform would be support – as long as the Mono runtime would support the platform. Parse then allowed to view some statistics and trends based on your data and user activity, however, not as “in-depth” as plugins like Google Analytics. So GA was also integrated to get a better idea of the flow and user interaction. Unfortunately a demo .apk is not available right now, but hopefully these screenshots will give you an idea about how it works. This website takes advantage of the same template as my previously posted Glazier website. So it includes all the awesome design by Think Up Themes Ltd and includes mostly the same plugins as mentioned in my Glazier website post. 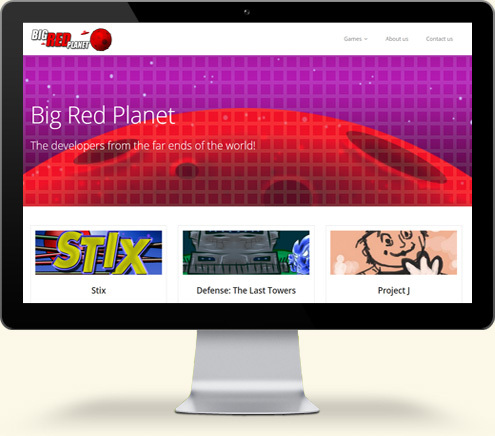 The website was made for Big Red Planet as a way to showcase their games. And because I’m a co-founder of Big Red Planet, this was a pleasure to make. You can read more about Big Red Planet on the following link. 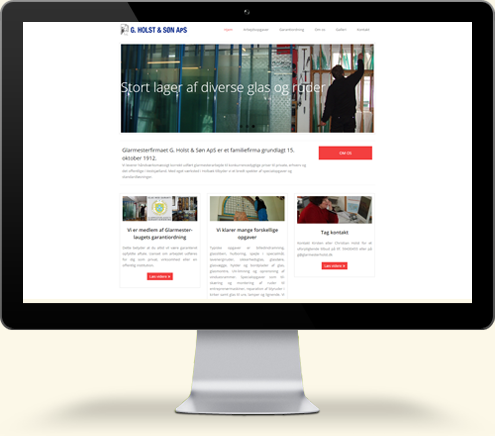 This website was made for a glazier company located in Denmark. It serves responsive design and anything else you’d expect from a high quality design – made easy by using a high quality template from Think Up Themes Ltd, big thanks to them. Apart from a great design several other plugins were integrated. Plugins like a contact form, anti-spam filters, backups, performance optimization using cache and Piwik analytics. All very well polished plugins which integrated incredibly smoothly into the website. The website can be viewed at glarmesterholst.dk. While learning my way around Xamarin Studio and the Mono runtime I created a simple uninstaller application for Android. My goal was to make something that looked simple and didn’t need to provide tons of features. So I did just that, clean and plain colors while programming the app to do nothing more than just uninstall chosen applications. You can find the application listed on the Play Store and on Amazon App Store. The application takes advantage of the Android API which pretty much provides any necessary data and handles the uninstall requests sent from the app. Which is also the reason behind the dialog box appearing when trying to uninstall an application. 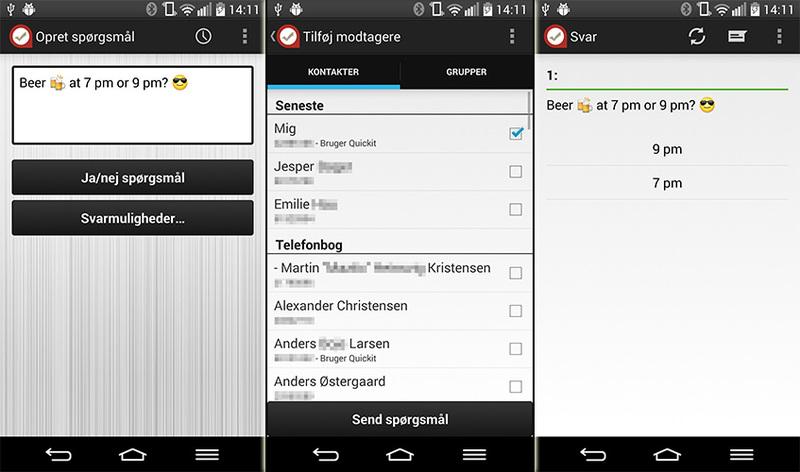 – if you wanted to get around that dialog you’d have to root the mobile device. Amongst a few plugins integrated into the application was Google Analytics. Thus allowing to trace user engagement and user behavior. Which in turn helped eliminate certain unpopular functionalities and focus on popular functionalities.